I want to be just like him. I want the ability to work in my alchemy lab, and discover new potions and elixirs. Not just your standard research, but I want to go out in the field and pull samples from enemy mobs. I want to create poison gases and fuming flasks that I can drop like hunter traps. I want CC type potions that I can throw at mobs and turn them into ooey gooey blue gooey goo. I want to sprinkle some elixir on my dead party members and turn them into Festergut (at least for a short time). 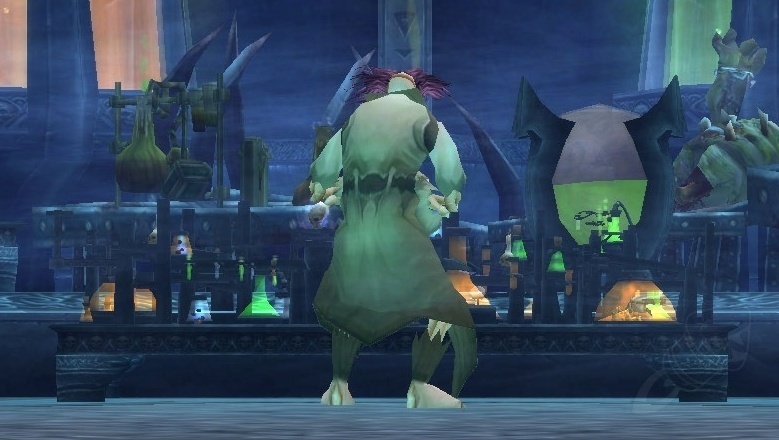 I want my Mad Alchemist potion to sometimes turn me, visually, into an actual Mad Alchemist (ala Savory Deviate Delight). I don't want to be a grand master alchemist. I want to be a professor.